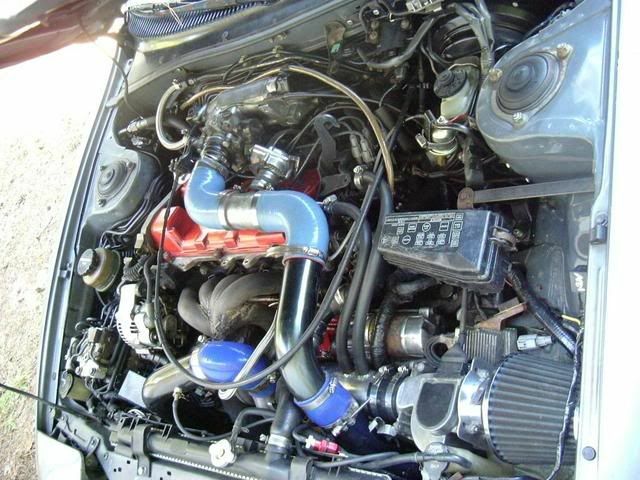 Its by no means fast, but it sounds pretty average for the 185 with slight mods. You can compare with times posted on this form. thanks a lot.. that was a really helpful link. i'm pretty sure i can get a better time because i'm still a noob on the track. I know you, i seen you on Youtube and Cardomain. You are from TN, i'm from Starkville, Ms. just a few hours away from Memphis. Memphis is still another 6 hours from me. Your still close enough to come to the next dragon meet. I am hoping to make some much better videos before the year is over. i still have a little bit of bodywork to do... i got a little bit of body damage to fix and going to repaint black all the way around. but i like the metallic gray and gunmetal route you took, absolutely perfect. i may go one day, but not next year... i'll wait after i finish college and get a real job. Half a second improvement is good! 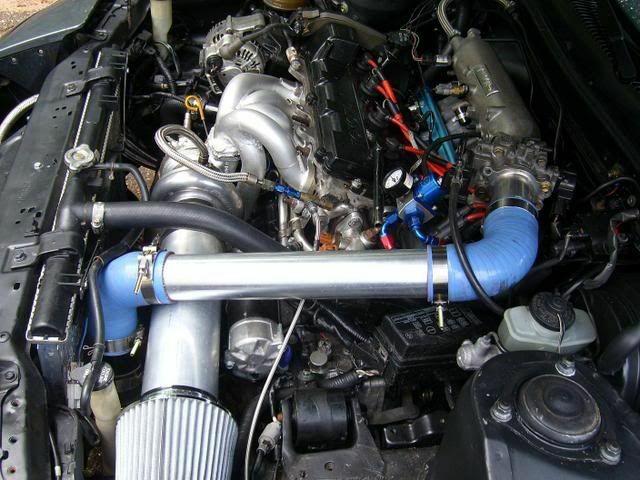 Just for comparison, my stockish (intake/exhaust) '93 N/A MR2 ran a 9.5 also in the 1/8th. lost to a 300 SRT8. my best time was a 8.874... his was in the 8.7 range. *how does this car handle such high amounts of boost without fuel cut? what kind of times do you think i can get from these upgrades? @ what recommended boost? I went from 8.9 @ 79mph to 8.3 @ 82mph from changing the stock intercooler and intake to a front mount intercooler and 3" intake. The boost stayed at 12psi for both runs. increasing efficiency really does help i see... right now i have just a air to air top mount and a k and n box drop in air filter... what kind of intake kit do you have? I just made one myself. This is the original 3" I made. I then made a 4" intake later on. can i still run AFM with those kind of intakes? do you still have the 3in one?